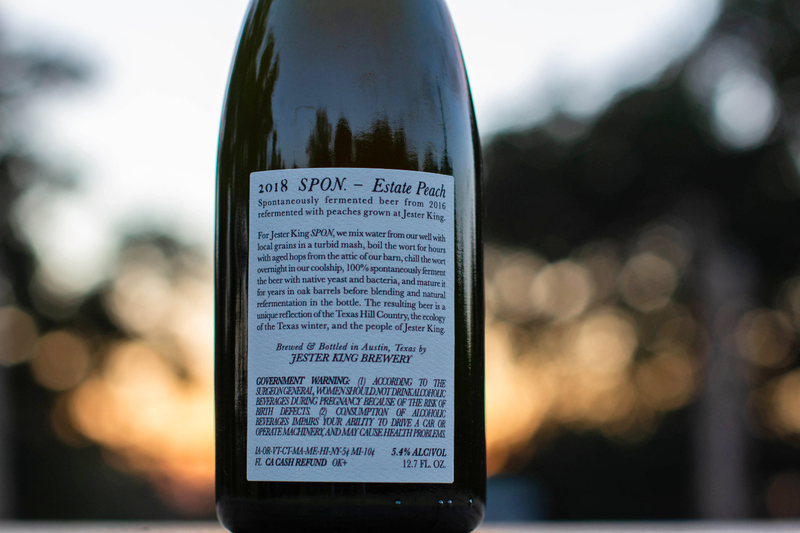 We're pleased and excited to announce 2018 SPON Estate Peach — our first-ever beer refermented with fruit grown at Jester King! 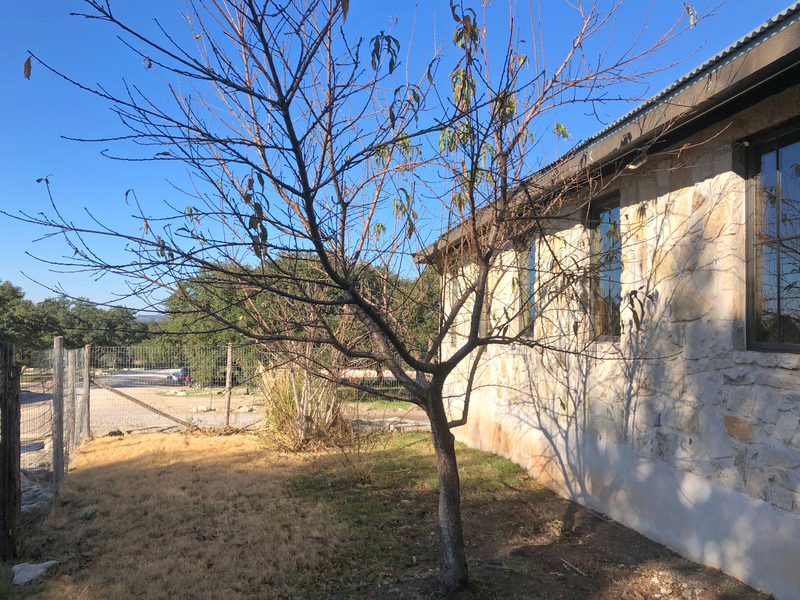 Back in 2014, we planted a peach tree right next to the brewery. We don't actually know what variety of peach tree it is, but we do know it's an early fruiting tree. Its peaches are low in sugar content, high in acidity, and very aromatic. We've watched the tree slowly grow over the past four years. It has taken a beating from high winds and deer eating its leaves, but has still managed to survive. Within the last two years, it has felt like the tree has been on fast-forward growth. 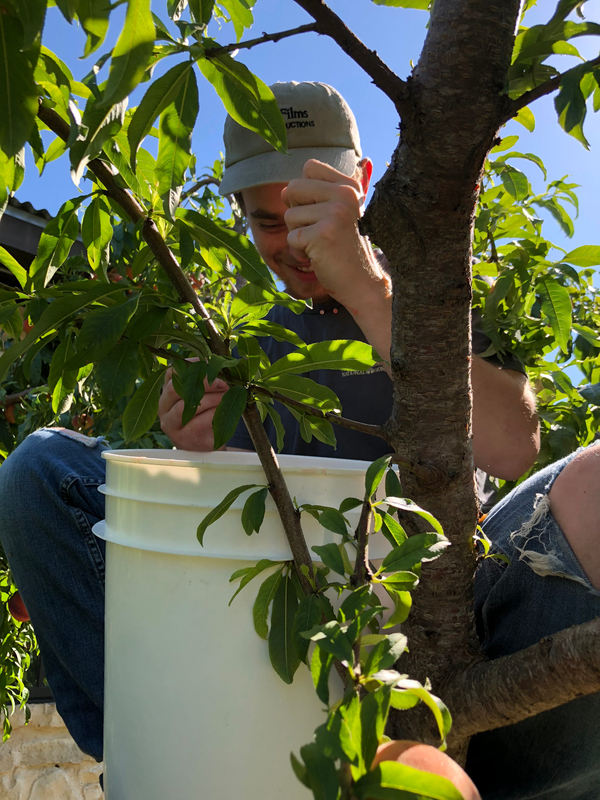 We just looked up one day and saw a fully-grown, robust peach tree right beside the brewery. This past summer, we harvested about 125 pounds of peaches off of the tree. 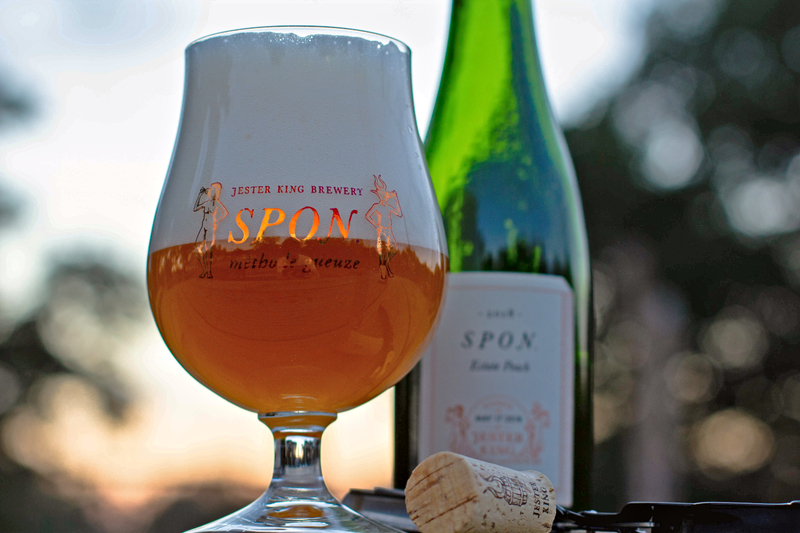 We thought about what to do with them, and decided to referment them with SPON as our first-ever estate fruit beer! Here's some photos from harvesting. For our first estate fruit beer, it's fitting that the character of the early-fruiting peaches is unique. It gives people a full sense of the impact of time and place. It's also satisfying to see an exercise in patience finally pay off. A lot of what goes into making our beer is just waiting, and in this case, we also had to wait for a tree to grow. What began over five years ago is finally ready to share. 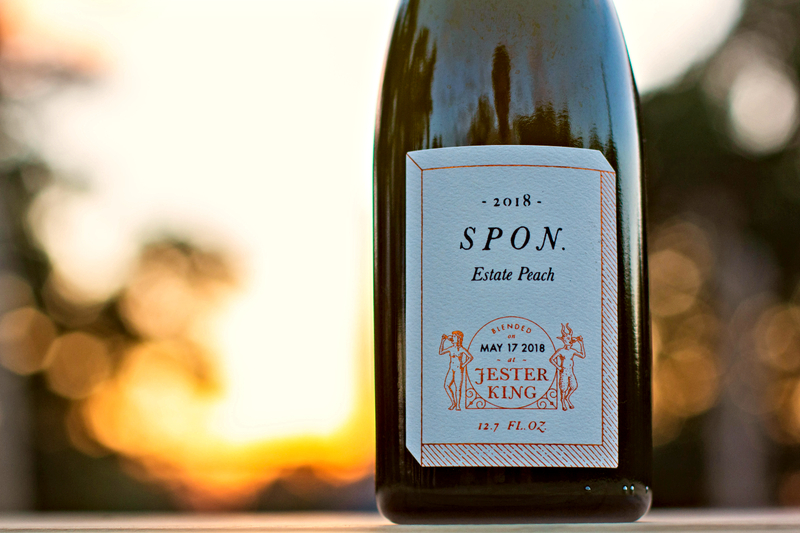 We hope you enjoy 2018 SPON Estate Peach! It's 5.4% ABV and was packaged in July, 2018. It will be released this Saturday, December 8th at Noon on SPON Day! It will be available by the glass and in bottles to go. We only have about 475 bottles available (375ml, $25) with a bottle limit of one per customer per day.